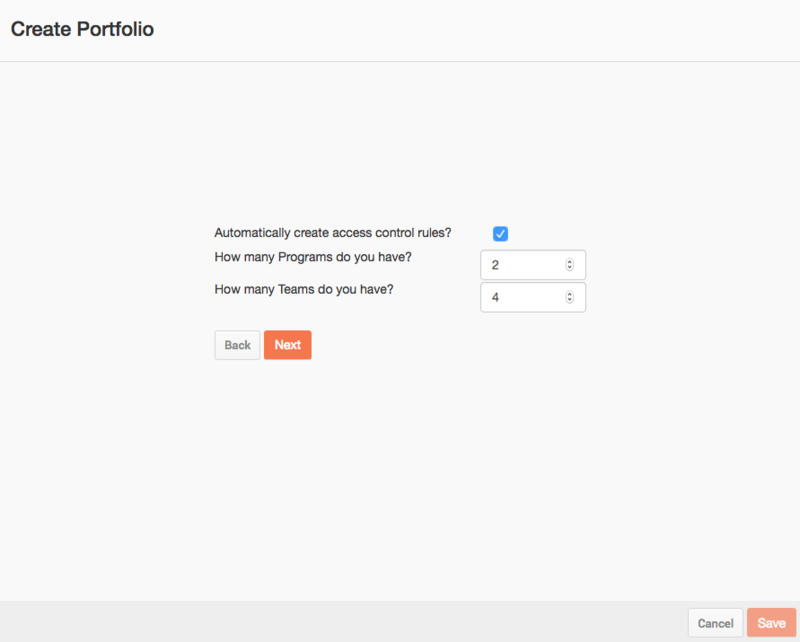 What is a Portfolio and How Do I Create One? 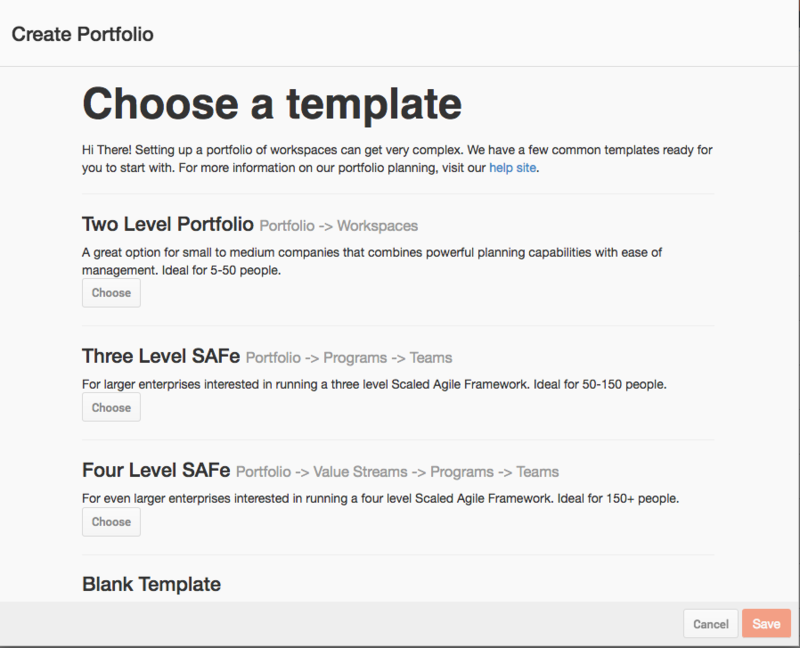 Portfolios in ScrumDo Enterprise are collections of inter-related workspaces that possess all of the roles, artifacts, and processes needed to deliver work that satisfies the strategic intent of the portfolio. Put another way, they represent an abstraction of the value streams, programs, teams and funding necessary to produce desired solutions. Once all this information is provided, your new Portfolio will show up in your workspace listing. 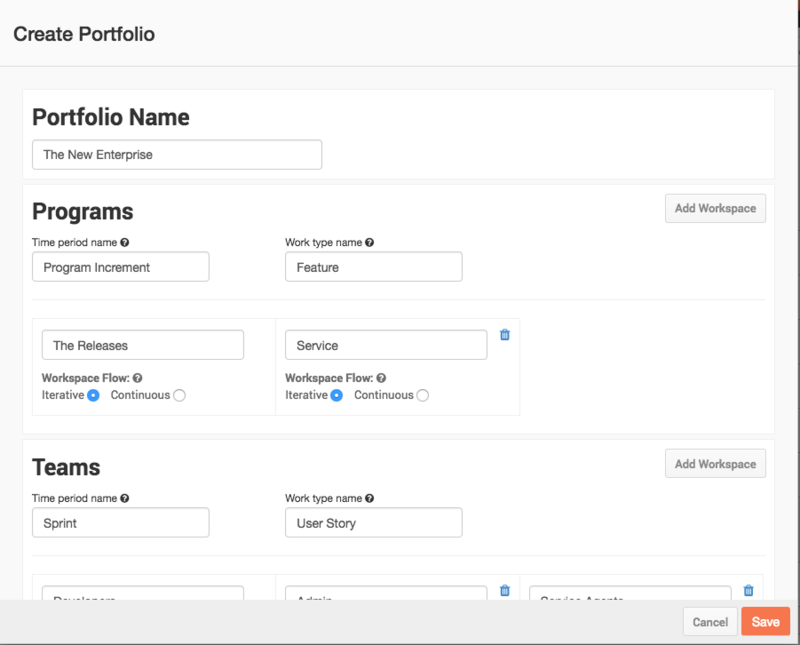 Portfolio listings expand to show all of the workspaces associated with the Portfolio, and are listed separately from independent workspaces in your workspace list.